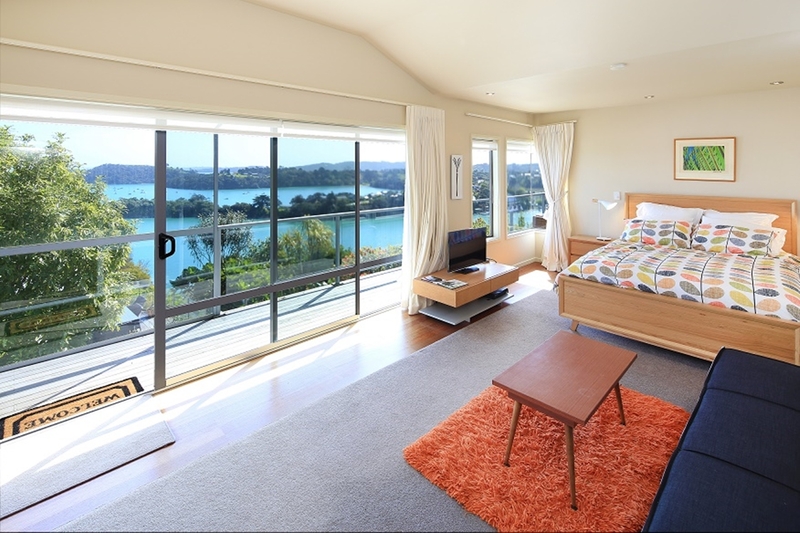 The best of everything – a superb bed, an exquisite view and gorgeous furnishings and a tui or two. We’re a long way from home but cant wait to come back. What a glorious spot to take a break from the city – so close and yet so far from the rush. Attention seeking views and all the comforts to make for a relaxing stay. A fabulous spot for a peaceful and relaxing break from the city. We look forward to coming back soon. A beautiful location, the bed was like a cloud to sleep on. Had everything we needed. Was perfect for our first visit to Waiheke. We’ll be back one day. P.S. A trip Ill never forget as we also got engaged. This well-appointed studio is in a great location with fantastic views and a great deck for soaking up the sun. Very close to Palm Beach and not far from Oneroa either. The place itself seems brand new and has everything you could need during your stay. We enjoyed the wineries and beaches while we were there, and can not see why anyone would not leave their stay at Putiki Panorama not feeling relaxed and refreshed. Thank you for being well-organised and setting us up for a great holiday. We had a fabulous time at the studio on Waiheke! The studio was very comfortable and quiet, and the views were amazing! Would highly recommend staying here. We had a great stay in this lovely studio; very clean and comfortable, beautiful views to wake up to. What a fantastic place to stay on Waiheke. The studio is beautifully furnished, clean and well-appointed, and the view is gorgeous, making it a lovely serene place to be even on rainy days. We loved the comfortable bed, tea and coffee, and cooked a great meal on the grill. Would definitely love to stay again. 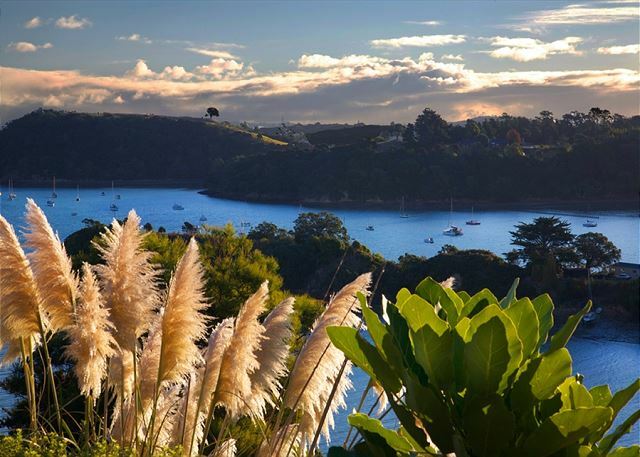 Great place to stay in Waiheke, perfect location and amazing view. Absolutely adored this property! The views alone are to die for, and the quality of all the furnishings and amenities is superb. Recommended this to all our friends already, including a couple getting married soon. This is a beautiful apartment.. Just perfect with an incredible view and terrace. A must stay apartment! Waiheke Escapes were a wonderful host! They were incredibly helpful and friendly. The apartment was lovely...the most amazing view of Waiheke Island, well-stocked with supplies, and it was beautifully appointed...new/clean furnishings and appliances, great shower, and comfy bed. 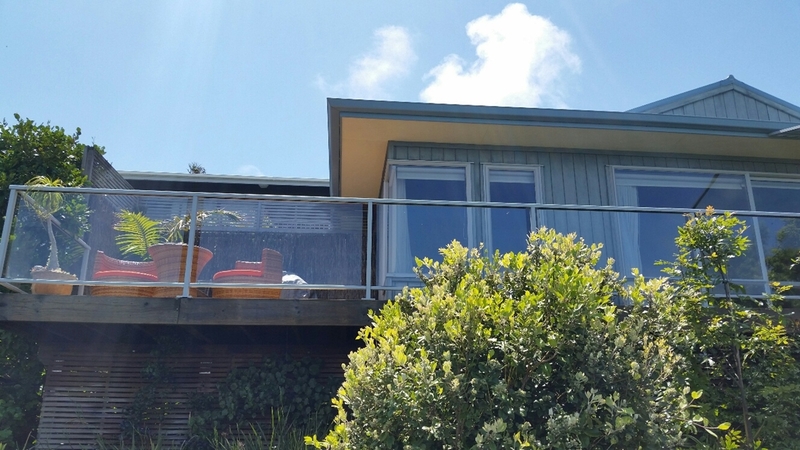 This place exceeded our expectations and made our weekend in Waiheke exceptional!! Gorgeous studio!!! Amazing views over the bay from the balcony. Really enjoyed our stay on the island and the lovely staff at Waiheke Escapes were on hand to help with anything during our stay. Highly recommend! 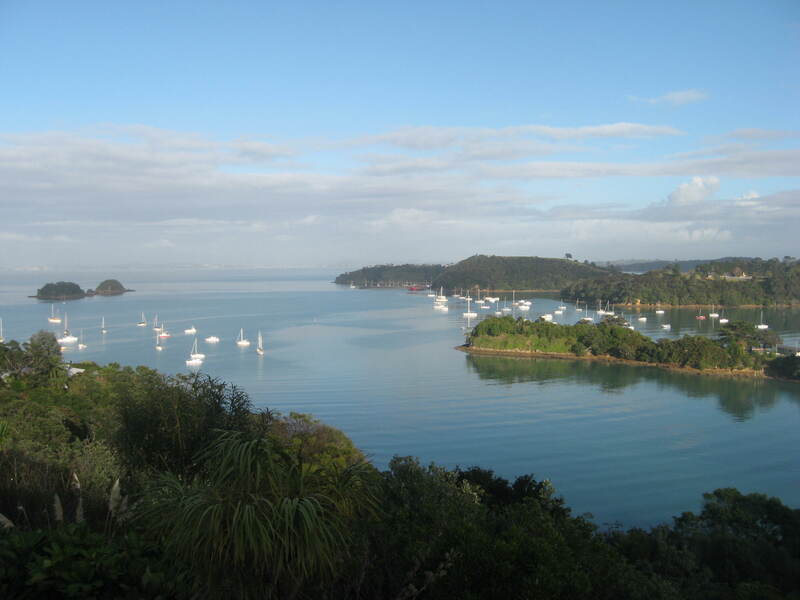 Waiheke Escapes were fantastic to deal with, totally responsive right from the beginning and during our trip. It was this personal touch that made our trip extra special. The accommodation was everything it advertised it as being. It was very modern, very clean and had the most spectacular views. We loved our trip. "Responded quickly to emails and was thoughtful enough to bring us extra linen and towels to prepare for Christmas." Very clean and modern studio. Compact but has everything you need. Stunning views from the sunny balcony- a bit windy at times! Bed was very soft and comfortable. Well located a 10-minute walk from Ostend shops. Could walk 5 mins down a trail to the sea for a dip, sandy beaches were about 30 mins walk away or a short drive/bus ride. At the end of a quiet street so no through traffic and very quiet". 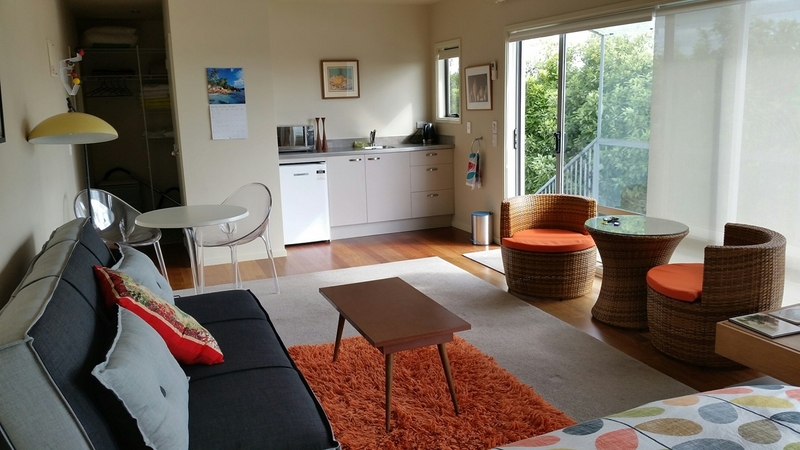 “We had such a wonderful three night stay in Waiheke at this great little studio apt! 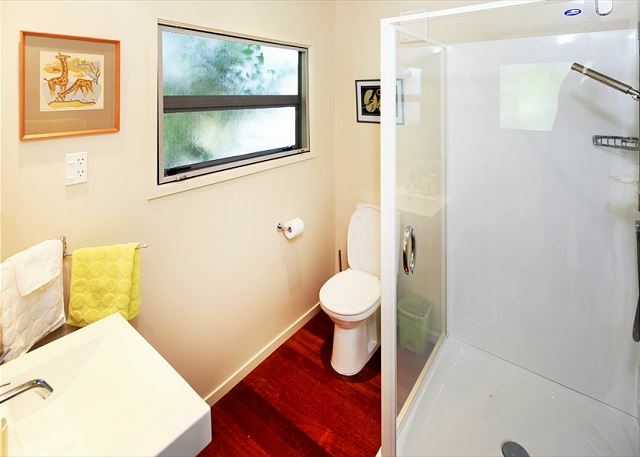 The views are just stunning and exactly as the listing shows. The bed is super comfy and the shower has amazing pressure ? -- thank you, one day we'll back! " "Beautiful Island and an awesome place to stay with stunning views. Would definitely recommend hiring some scooters and exploring the island. So many lovely beaches"
"Amazing little hideaway with the best view! Have had the most amazing time. Will definitely visit again". Great property. Fabulous spot with amazing views. The property is very comfortable, has everything you need, and more! We would definitely like to come back. Great communication. Lovely people to deal with. The necessary information was provided in a timely and professional way. 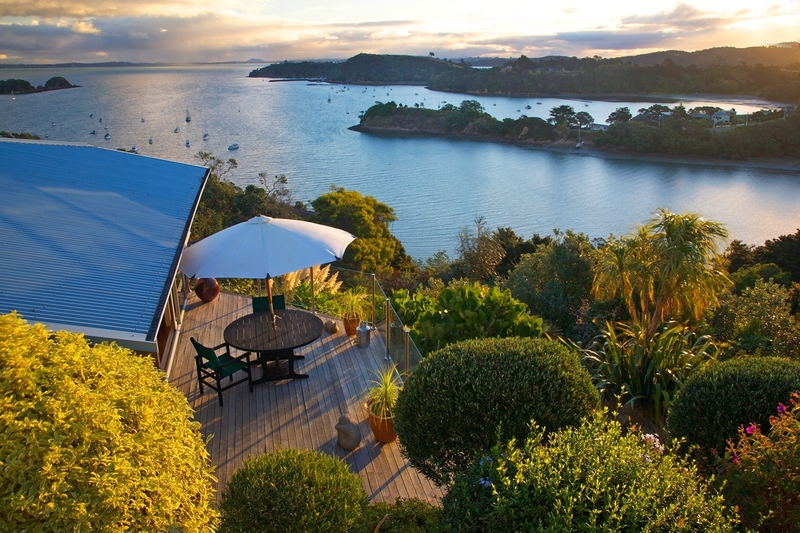 We would definitely use Waiheke Escapes and will be recommending to others. Thank you ?" 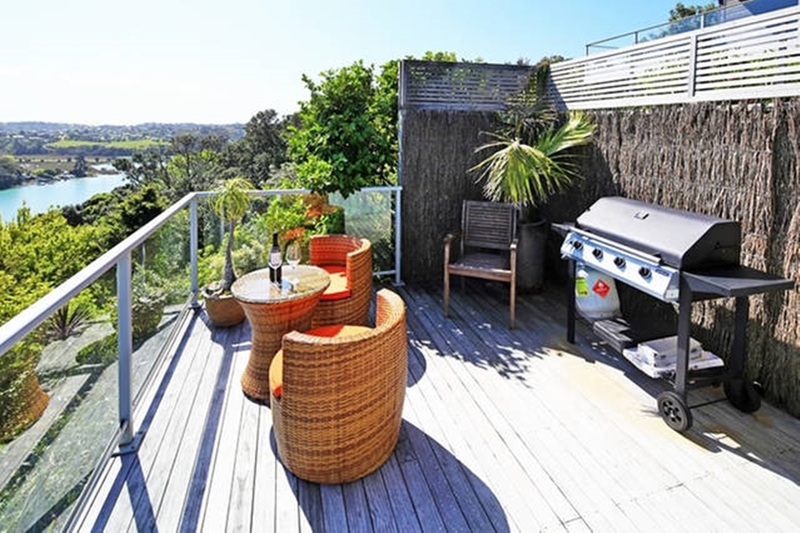 Set on a ridge within a beautiful steep slopped garden, the studio apartment has panoramic views passed Kennedy Point to Hauraki Gulf and a distant Auckland skyline. After days hiking the island’s tracks, or wine tasting, or in the Oneroa Village enjoying a long lunch, it was a delight to return to our quiet haven for bbq on the deck enjoying 180 degree views. 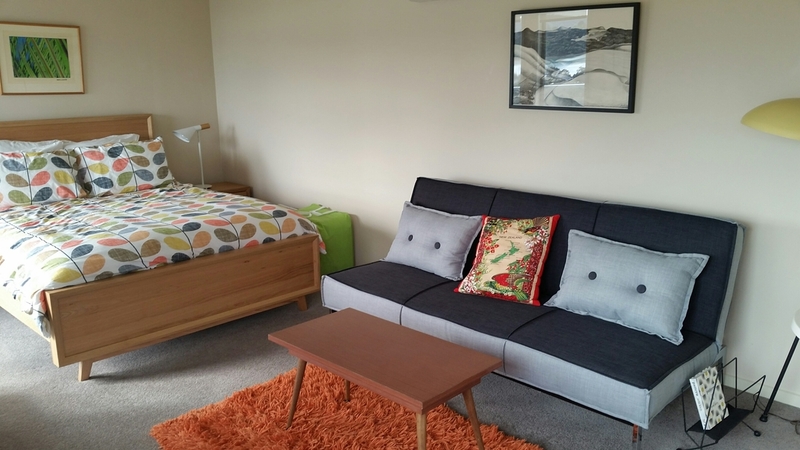 The studio provides necessary comforts - air conditioning/heating, great shower with hot water, extremely comfortable bed and adequate kitchenette facilities for self catering. A car wasn’t necessary. There’s the island public bus service at the base of the hill ( five minute walk) and nearby Ostend ( ten minute walk) for essential supplies ( e.g., Countdown supermarket, excellent fish shop, with locally caught fresh fish and oysters).